As spatiotemporal data becomes widely available, mining and understanding such data have gained a lot of attention recently. Among all important patterns, periodicity is arguably the most frequently happening one for moving objects. Finding periodic behaviors is essential to understanding the activities of objects, and to predict future movements and detect anomalies in trajectories. However, periodic behaviors in spatiotemporal data could be complicated, involvingmultiple interleaving periods, partial time span, and spatiotemporal noises and outliers. Even worse, due to the limitations of positioning technology or its various kinds of deployments, real movement data is often highly incomplete and sparse. In this chapter, we discuss existing techniques to mine periodic behaviors from spatiotemporal data, with a focus on tackling the aforementioned difficulties risen in real applications. In particular, we first review the traditional time-series method for periodicity detection. Then, a novelmethod specifically designed to mine periodic behaviors in spatiotemporal data, Periodica, is introduced. Periodica proposes to use reference spots to observe movement and detect periodicity from the in-and-out binary sequence. Then, we discuss the important issue of dealing with sparse and incomplete observations in spatiotemporal data, and propose a new general framework Periodo to detect periodicity for temporal events despite such nuisances.We provide experiment results on real movement data to verify the effectiveness of the proposed methods. 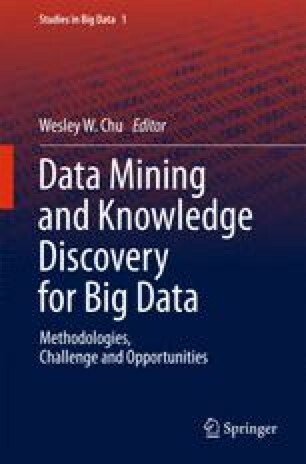 While these techniques are developed in the context of spatiotemporal data mining, we believe that they are very general and could benefit researchers and practitioners from other related fields.